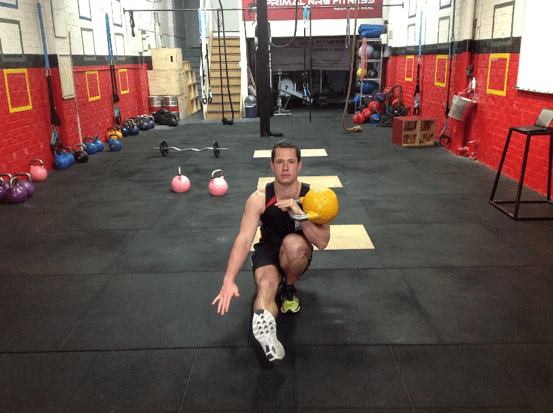 The kettlebell pistol squat is an impressive looking exercise. Not only does it look good but the benefits reaped are second to none. The squat requires great strength, balance, coordination, symmetry and mobility. The movement is beneficial for everyone including professional athletes and regular Joes. 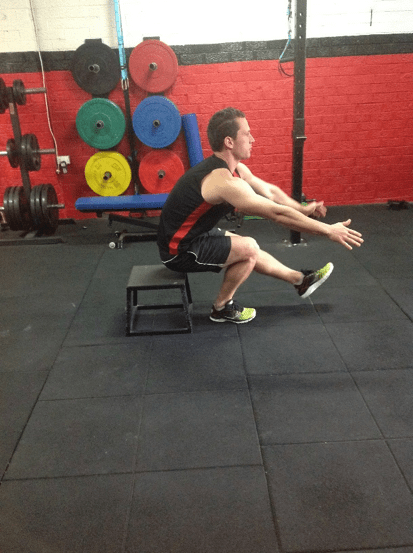 There are numerous benefits for incorporating the pistol squat into your exercise regime. Firstly, the squat requires great balance. 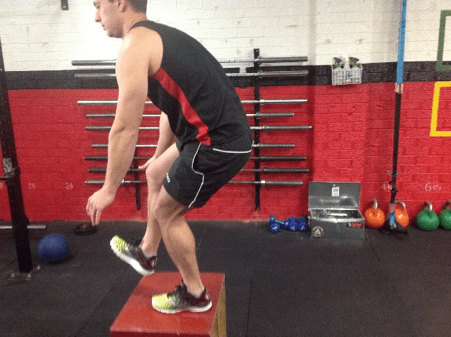 Developing balance is often an overlooked principle for many athletes and exercisers. Balance is integral in many sports and by incorporating balance training you will facilitate proprioception. Improved proprioception will go a long way to decreasing the risk of injuries. Secondly, you will sort out any asymmetries in glute and leg strength. We often develop asymmetries due to posture and uneven use in day to day activities. 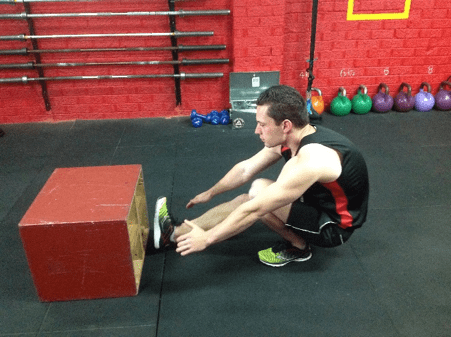 By incorporating a unilateral exercise like the pistol squat, you will eliminate that variance in time. Thirdly, the pistol squat develops glute strength like few exercises do. You know you have completed a session with pistol squats for days as your glutes radiate with soreness. 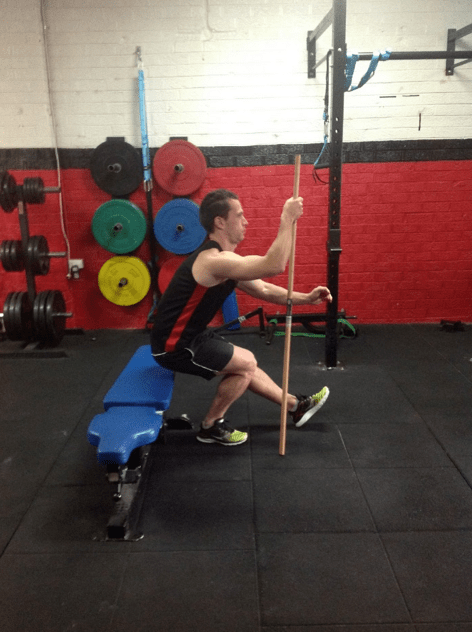 The squat can also uncover movement deficiencies and dysfunction. If the knee caves in and doesn’t follow the line of the big toe or if the hip shifts upwards and isn’t square then these are tell-tale signs of glute dysfunction and possible corrective exercise management is needed. Asking someone to perform a kettlebell pistol squat can be quite the demand. That is why it is important to have a system of progressions so you can perform advanced double kettlebell rack and overhead pistol squats in time! The following system will be getting that backside close to the ground in no time! 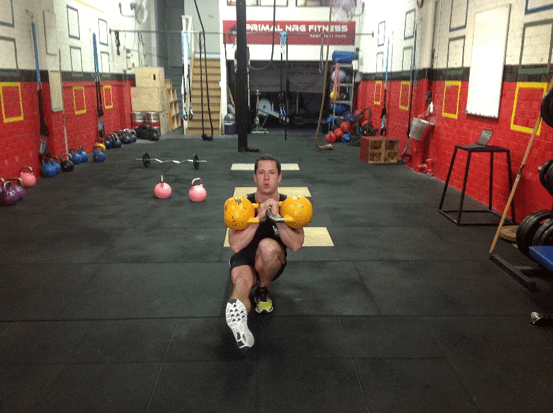 A great starting point with the pistol squat is unweighted, with balance support and reduced range of motion. You can use a suspension trainer or dowel for support and the weight bench is a great starting point. The key is to control the tempo in the downwards and upwards phases whilst keeping the hips square and knee tracking in the right line. Simply, progress the movement by removing the support and squat to a lower level. A step or plyo box with some weight plates stacked is ideal. The next progressions involve a greater range of motion and some momentum to assist in the exercise. 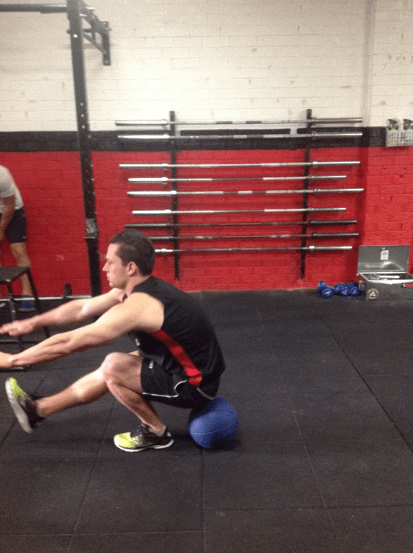 Firstly, you can position a basketball, med ball or wall ball underneath your hips. This now means you can squat to great depth and you get a bit of a bounce in the most difficult portion of the movement. Secondly, you can perform a Single Leg Deck Squat. The momentum of the roll in the deck squat can help propel your through the hardest part of the movement. Once you can complete these two progressions then you are now ready to perform the bodyweight pistol squat to depth and unassisted. The full pistol squat is characterised by the backside making contact with the calf muscle. You now ready to perform a full kettlebell squat. This is not for the faint hearted! 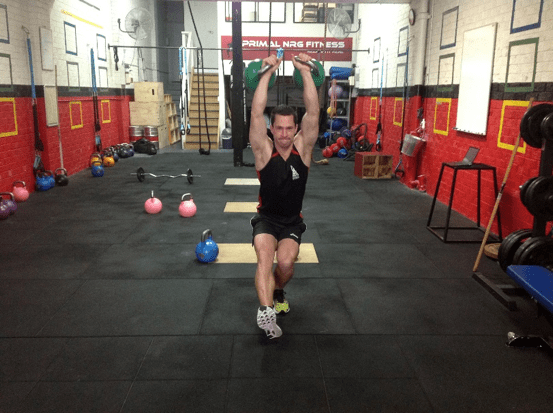 The kettlebell can be racked on the side of the lifting or non-lifting leg. It will evoke a different a different demand and you may have more core engagement by having it on the opposite side. You may feel more gluteal engagement when the bell is racked on the same side. If you conquer 1 kettlebell then you can progress by doubling the load and adding a second kettlebell. Now we are getting to a seriously hard level of progressions. 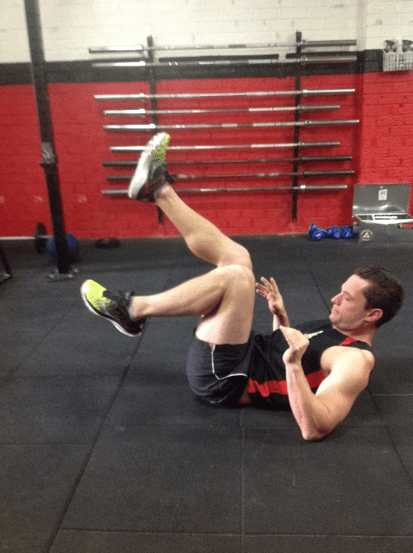 This requires great mobility as well as stability. This will test even the greatest of athletes. This is the last of our progressions and requires an explosive movement to successfully land on boxes of varying heights. So there you have the kettlebell pistol squat with a series of regressions and progressions that are suitable for people at all levels. Incorporate them into your training and you will see great results.